'The text provides powerful opportunities to challenge thinking and to encourage trainee teachers to articulate and justify their beliefs about the purposes of education, the nature of learning and the impact this has on their own developing practice in the classroom' - Marnie Seymour, Senior Lecturer in Primary Education, University of Winchester 'Through a variety of stimulus questions and a focus on 'what does this mean for you? ', this book encourages pre-service teachers to develop habits of reflection that will guide their achievement of an authentic teacher identity' - Linley Cornish, Associate Professor, School of Education, University of New England, Australia An essential aspect of teaching is being able to reflect on your own practice and analyse your professional actions, and use this process to develop as a successful teacher. 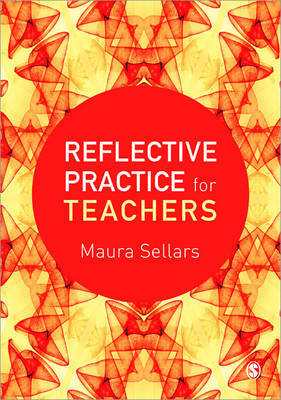 Reflective Practice for Teachers explores a range of key issues that you will need to engage with during your teacher preparation and early career in the classroom in order to deepen your understanding of teaching practice. Coverage includes: *'What does this mean for you?' boxes in every chapter that directly relate educational theory to the classroom * The changing nature of teaching and the role of the teacher, and the importance of making personal evidence-based decisions *How contemporary issues such as technology, global perspectives, and the importance of pedagogical practices can support effective teaching * Guidance on how to reflect on the richness of diversity in classrooms, and the tensions and challenges that may result from differences. This is essential reading for teacher education students on university-based and school-based courses preparing to teach in primary and secondary education, and early career teachers seeking to continue their professional learning. Maura Sellars is a lecturer in Education at The University of Newcastle, Australia.